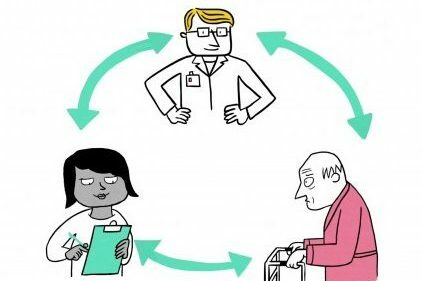 Our three-year Pioneering arts based learning project at Guys and St Thomas’ Trust (funded by Guy’s and St Thomas’ Charity) resulted in a new framework for staff development called Circle of Care, which we launched in 2016. Circle of Care helps us think about, practise and demonstrate high quality compassionate care, and describes the ways that arts are useful in nurturing the skills required to do this. You can read more about the project and its findings in a Lancet paper written by Suzy Willson, Director of Performing Medicine, and Peter Jaye, Consultant in Emergency Medicine at GSTT.